BOSTON & BLACKSBURG, Va.--(BUSINESS WIRE)--Landos Biopharma, Inc., an emerging biopharmaceutical company focused on developing improved treatments for autoimmune diseases, announced today it has raised $10 million in a Series A financing led by life sciences investment management firm Perceptive Advisors, LLC, which will serve as its exclusive investor for the Series A round. 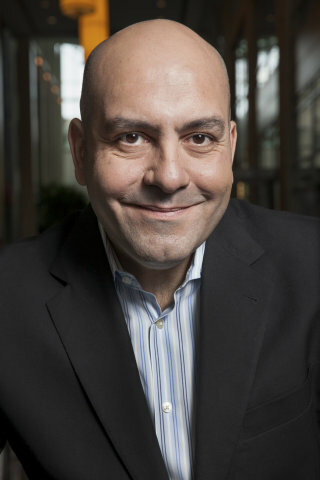 Landos, founded by serial entrepreneur and innovator Dr. Josep Bassaganya-Riera, is advancing a robust pharmaceutical pipeline for autoimmune diseases toward commercialization and will partner operational efforts with Xontogeny, LLC, a life sciences accelerator operating company led by industry veteran Chris Garabedian. Xontogeny’s model works in synergy with partner companies to support management teams and provide expertise and strategic direction in the early stages of pharmaceutical and biotechnology development. Current therapies for autoimmune diseases, a $100 billion market, have limited efficacy and significant side effects. Landos’ mission is to accelerate the development of safer, more effective therapeutics for painful and debilitating autoimmune diseases including Crohn’s disease and ulcerative colitis. Landos will focus its development efforts in a novel target pathway called Lanthionine Synthetase C-Like 2 (LANCL2), which has shown promise for the treatment of autoimmune diseases by engaging a unique mechanism of action that exerts potent anti-inflammatory effects. Landos’ lead product candidate BT-11 is a first-in-class, orally active, locally-acting therapeutic for treatment of Crohn’s disease and ulcerative colitis that has shown a benign safety profile in animal models and that is advancing toward an Investigational New Drug (IND) filing. BT-11 intercepts IBD by decreasing the production of inflammatory mediators and increasing anti-inflammatory molecules within the gastrointestinal tract. IBD impacts approximately 1.6 million Americans and 4 million people worldwide. With the Series A investment, Landos plans to complete remaining IND-enabling studies, file an IND for BT-11 in 2018 and expects to complete Phase 1 clinical testing by early 2019. 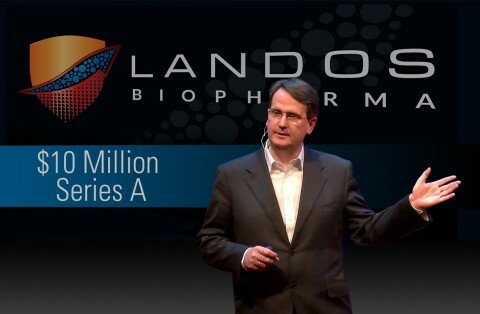 For more information about Landos Biopharma, visit www.landosbiopharma.com. For more information about Xontogeny, visit www.xontogeny.com. For more information about Perceptive Advisors, visit www.perceptivelife.com. Landos Biopharma, Inc. is an emerging biopharmaceutical company focused on the discovery and development of first-in-class oral therapeutics for patients with autoimmune diseases. Landos’ lead clinical asset, BT-11, is a novel, locally-acting small molecule targeting inflammatory bowel disease (IBD) that is expected to enter clinical testing for Crohn’s disease in 2018. Landos also has a robust pipeline of compounds for other autoimmune diseases. Landos is headquartered in Blacksburg, VA. For more information, please visit www.landosbiopharma.com, contact info@landosbiopharma.com or follow the company on Twitter at @LandosBio. Based in Boston, MA, Xontogeny seeks to accelerate the development of life science technologies by providing entrepreneurs with the leadership, strategic guidance and operational support necessary to increase the probability of success in early drug and technology development. Through a differentiated approach, the Xontogeny team partners with the founding scientists and entrepreneurs of new ventures to support their vision while allowing a more efficient development model to benefit company founders and early equity holders. For more information, please visit www.xontogeny.com or contact Xontogeny by emailing info@xontogeny.com. Founded in 1999 and based in New York, NY, Perceptive Advisors is an investment management firm focused on supporting the progress of the life sciences industry by identifying opportunities and directing financial resources to the most promising technologies in healthcare. For more information about Perceptive, visit www.perceptivelife.com.